Campaigners have said they will not give up after the announcement that plans for a BBC radio station in Dorset have been dropped. Radio Solent, which also covers Hampshire and the Isle of Wight, has a part-time news service for the county. The BBC had hoped to provide a full radio service for Dorset, but this has been abandoned under plans to reduce the size of the corporation. 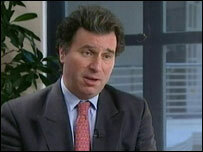 Oliver Letwin, MP for Dorset West, said the county deserves its own station. He added: "I don't think people in Dorset feel they are properly covered at the moment. "We have been campaigning for (a radio station) for a long while. "I hope we can continue campaigning for it and eventually get it." Mike Hapgood, head of BBC South, said coverage of Dorset would increase online over five years, with new services being introduced within the next six months.